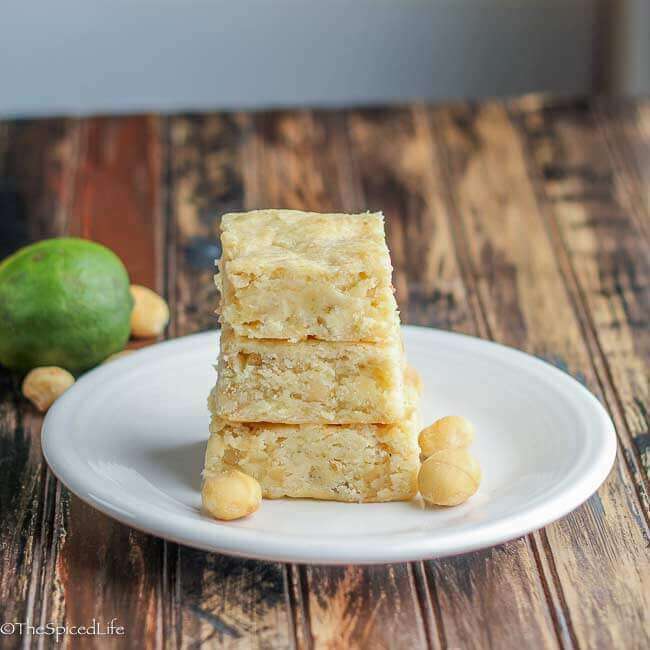 Lime Coconut Bars with Macadamia Nuts and White Chocolate Chunks are the perfect fudgy-chewy treat to take you away to the tropics! 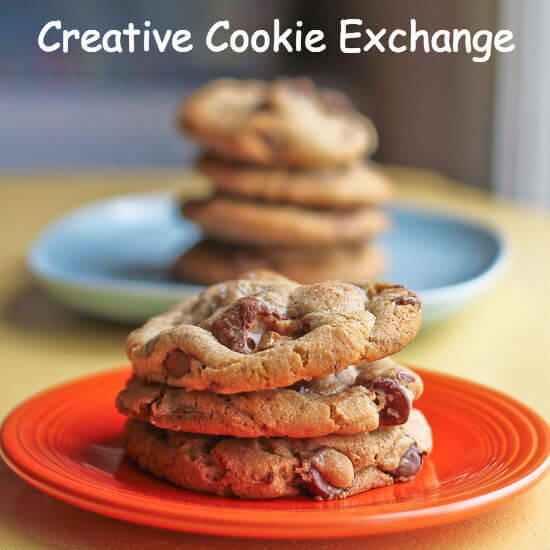 This month Creative Cookie Exchange has you covered with loads of tropically inspired cookies! And in the process I lost my energy for waxing poetic. Whisk together the flour, baking powder, baking soda and fine sea salt in a medium sized bowl. Mix in the coconut flakes. Set aside. Beat the cream cheese until creamy with a mixer (I always prefer the stand mixer). Beat in the sugar and lime zest until completely incorporated. Scrape the sides and bottom of the bowl. Beat in the melted coconut oil and lime juice. Scrape again. Using the lowest speed, mix in the flour-coconut flakes mixture into the cream cheese mixture. When it is mostly incorporated, scrape down the sides and bottom of the bowl. 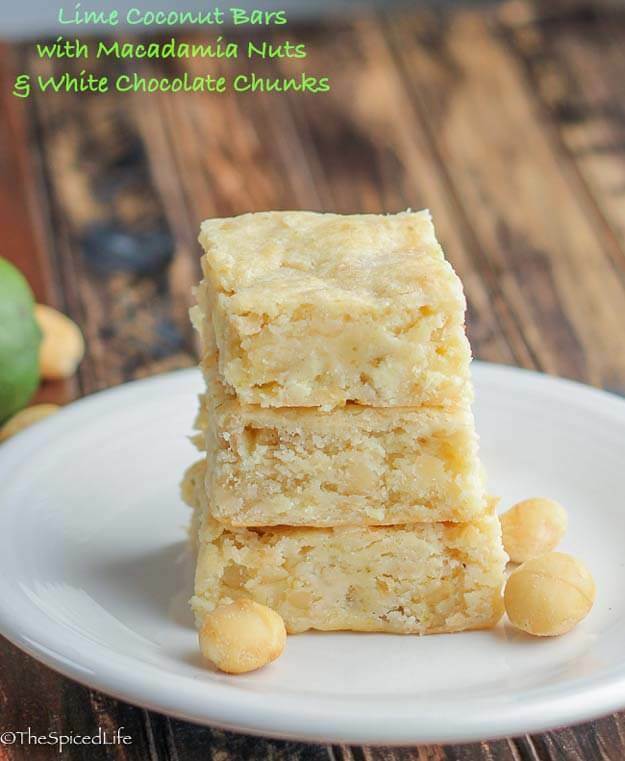 Add the chopped macadamia nuts and white chocolate chunks. Continue slowly mixing until everything is evenly incorporated. Do not over-mix. Line a 9X9 pan with parchment paper. Scrape the dough into the pan and spread it as evenly as possible (it is a pretty thick dough, so do not overthink it, it will even out while baking also). Bake for 25-30 minutes, or until a cake tester inserted in the center of the pan comes out clean or with melted white chocolate only on it. Let cool completely in the pan before removing (use the parchment paper) and slicing into bars. It’s that time of year again, the time when many of us want to daydream about being somewhere else. A tropical treat is just the ticket! The Creative Cookie Exchange is going all tropical this February, and that could mean anything from fruit to spices to cut-out cookies. We’ve got you covered! Passion Fruit Curd Shortbread Cookies by Live. Bake. Love. Yea, getting medicine these days is a difficult and taxing process. At least you got yours and could continue your long weekend enjoyment. When I first saw the bars I thought how much they looked like brownies. And how good they look. These look heavenly, I have a total weakness for yummy snacks with macadamia nuts in them! These look amazing and remind me of my favorite cookies!!! Sorry about the pill … hope you could get on with your holiday after that! The pictures are beautiful . I can’t begin to imagine how great these flavours would taste together…!!! 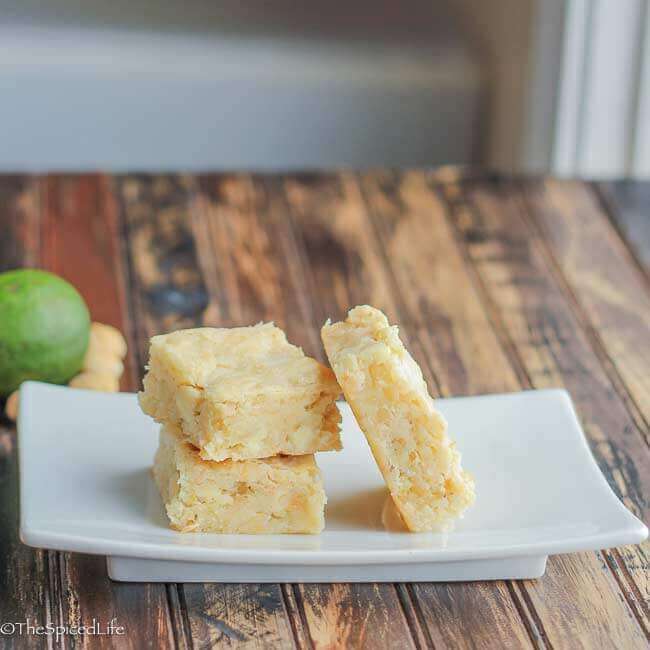 These bars are a triple tropical threat….lime, coconut and macadamia nuts!! I hope the game goes your way! These bars look perfect for celebrating a victory! Hope you have fun at the game tonight. I don’t blame you for being tired. These bars look so scrumptious! Sitting in urgent care for any reason is a terrible way to spend time. All those sick people breathing on you! Glad you were able to get the pill you needed though. I am a huge fan of chewy cookie bars, especially with a salty, sweet, tart mix. These look perfect, Laura! Don’t get me started on the failed war on drugs that just makes life miserable for everyone else. Love your bars, and love you. These do look delicious! I can sympathize with you about the medicine, how frustrating! Your bars look amazing and remind me that I don’t make nearly enough bar cookies. Lime, coconut, and white chocolate is definitely a winning combination. So sorry that common sense has totally gone out the window and you had to visit urgent care to take care of something that should have been much easier.